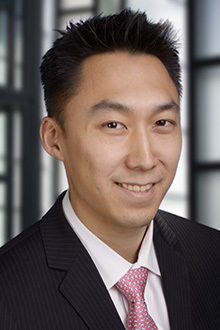 Kenneth Kim is a partner in the New York and Newark office of Lewis Brisbois. His practice focuses primarily on the defense of high exposure and catastrophic losses in the context of general tort liability, construction (New York State’s Labor Law), motor vehicle accidents and premises liability in New York and New Jersey state and federal courts. He has defended an array of clients in different sectors, including but not limited to, property owners, commercial/retail business owners, general contractors, property management companies, and logistic companies. Mr. Kim handles all aspects of litigation from inception to resolution and has succeeded in the dismissal of a myriad of claims via summary judgment and assisted with obtaining defense verdict on several high exposure jury trials by working closely with trial counsel. Further, Mr. Kim has substantial experience mediating cases and is a skilled negotiator that regularly obtains favorable results for his clients to achieve cost effective savings. Before joining Lewis Brisbois, Mr. Kim worked as a judicial law clerk to the Honorable Kevin G. Callahan (retired) at the Superior Court of New Jersey and at another New York City defense firm.